As part of its aggressive growth plans to expand its exclusive network all over India, Indian tyre major, CEAT Ltd launched CEAT Shoppe in Dhanbad, Jharkhand which was inaugurated by Mr. Santosh Singh, Zonal Manager, CEAT ltd. 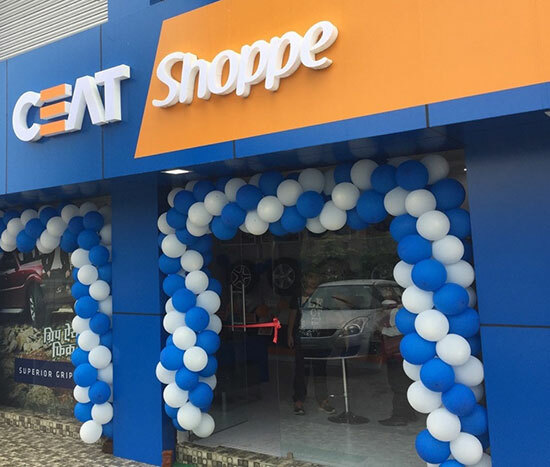 The CEAT Shoppe will provide one-stop solution for car owners encompassing all tyre related services. The outlet provides multiple options and offerings to its customers. The new CEAT Shoppe is well equipped with an advanced automatic 3-D wheel alignment, wheel balancing, automatic tyre changer and nitrogen inflator. The CEAT Shoppe is designed at par with international design standards, and is definitely a first in a low involvement category like tyres. Owing to the great response we received, it gives me great pleasure to introduce CEAT Shoppe for our customers in Dhanbad. CEAT has always aimed at providing world-class services to its customers and a well-trained and friendly staff made this possible. We are confident, we will be able to meet up with the expectations of our customers through the introduction of the best of services in the industry and look forward to introducing many more initiatives in the near future.